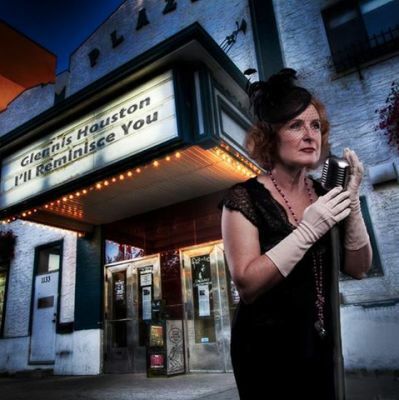 Glennis Houston is a long-time performer on the Calgary scene. She has performed musical theatre, pop, blues, jazz, and her own jazz-influenced songs across western Canada. She has worked with many of the best instrumentalists in Alberta, including Sheldon Zanboer, Robin Tufts, Jeremy Coats, Andrew Glover, Mike Lent, and many others. Her second CD, "I'll Reminisce You," contains much of her own material and was recorded live "in the round" in the old National Music Centre in Calgary. Her soaring vocals hint at the classical training she received through her Masters of Music, but the classical sound has gone as she delves into contemporary material. She currently works with several group configurations - solo piano & voice; vocal duo with Deb Rasmussen where they explore the possibilities of voice with instruments; and Fifty shades of blues with Andrea Petrity (naughty blues from the 1920s). Groups can be customized according to need.